Corrective Colour: Plastic Surgery For Your Hair. With summer coming, many of our guests are choosing to ditch darker locks in favour of lighter shades. As easy as it sounds, such colours require specialist care and an alternative to a “normal” colour service. A little known fact to salon guests is that hair colour cannot lighten previously coloured hair. Be it salon colour, or supermarket colour from a box, once permanent colour is on your hair, it’s not as easy to go lighter, which is why we are here! So you want to lighten your previously coloured hair? Here’s how it works at Cobaarz. You will first have a consultation with your colourist. First we will analyse your hair. Check out your existing colour, your natural new growth, and determine if your hair’s condition can support a colour cleanse service. Make sure that if we ask a question, answer it the best you can. We don’t judge if you have coloured your hair yourself, we just need to know what has been on it so that we can tailor your colour pathway to get the best possible result. The existing darker colour needs to be removed from your hair. We will talk to you about your wishes, and give a realistic solution. Sometimes the desired shade is unachievable, and we are totally upfront and honest about your results right from the start, and work toward a mutually agreed goal. “Hang on a second, is this STRIPPING my hair? Is this a bleach bath?! Isn’t that damaging?!”. In a word, no! 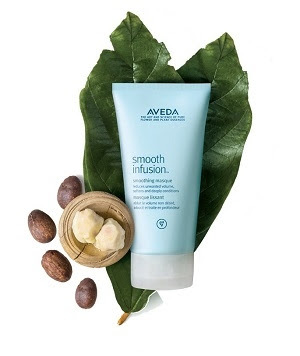 We use Aveda’s Enlightener to remove artificial colour from your hair, which is not a bleach or a stripper at all. In fact, it’s based on natural chemistry, and contains protective oils. We do not believe there is a place in salons for traditional stripping or bleach bathing, our method is the most damage-free and gentle method available today. Once we establish a target shade, the first step begins! Our gentle Aveda Colour Cleanse formula is applied to previously coloured hair, and remains on until the hair lightens enough to support the agreed target shade. The timing for this step varies from guest to guest, but we constantly monitor this process. When “ready”, we remove the colour cleanse formula, and prepare the hair with a pre-treatment. After drying, your newly-cleansed hair is ready for the target shade! As you can imagine, this process takes a longer time than a normal service. We recommend a consultation prior to taking the big step to go lighter, and we can give you an estimate of the time and the costs involved. A colour-cleanse is generally a once-off service, and after your target shade has been reached, it will not need to be repeated. Please mention that you wish to lighten your coloured hair when you are making an appointment, and our team will do our best to accommodate you. Call 5622 2255 for your obligation-free consultation! There is more than just Christmas to be celebrating here at Cobaarz Warragul! It is with much pride and happiness that I can congratulate Deanna on completing all of her requirements and becoming a fully qualified hairstylist.